“It really is that movie moment where they announce your name and you get this euphoric blast of hormones – or whatever it is,” the 50-year-old songwriter said by phone from Los Angeles. 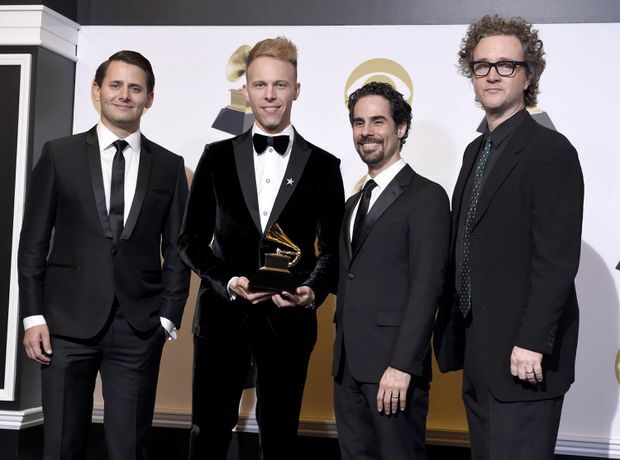 Benj Pasek, from left, Justin Paul, Alex Lacamoire and Greg Wells pose in the press room with the award for best compilation soundtrack for visual media for The Greatest Showman at the 61st annual Grammy Awards at the Staples Center on Feb. 10, 2019, in Los Angeles. 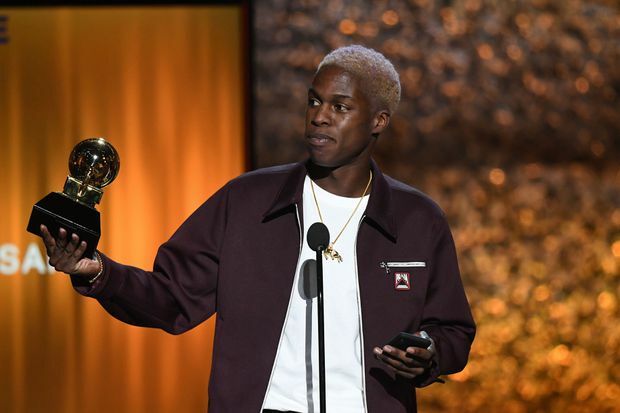 Canadian singer Daniel Caesar accepts the award for Best R&B Performance for Best Part onstage during the 61st Annual Grammy Awards pre-telecast show on Feb. 10, 2019, in Los Angeles. 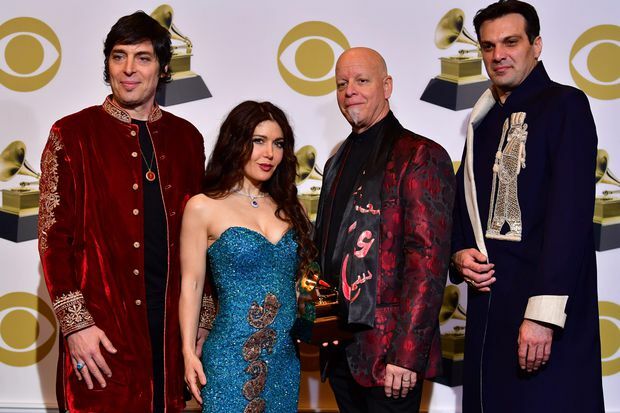 Opium Moon for Best New Age Album pose in the press room during the 61st Annual Grammy Awards on Feb. 10, 2019, in Los Angeles. The Brandon, Man.-raised violinist won the best classical instrumental solo award – his second career win – while his composer, Aaron Jay Kernis, picked up a Grammy in the contemporary classical composition category for the album.